The aim of the NRSV is to be 'as literal as possible, as free as necessary'. 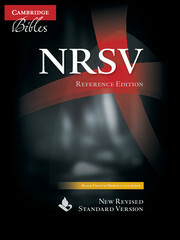 Widely used in academic circles as well as churches, the NRSV takes full advantage of recent scholarship and it employs gender-inclusive language in reference to human beings throughout. 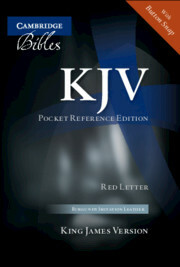 This slim book contains the New Testament together with the Psalms. 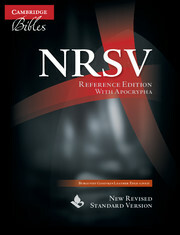 Like the Cambridge NRSV Popular Text and Lectern Bibles, this edition has British spellings and punctuation. 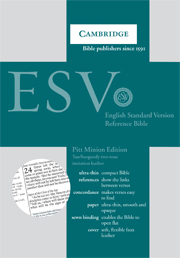 The text is set in a clear but compact font and is divided into sections, each with its own heading. 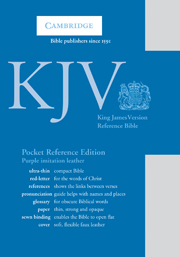 Presented in a format like that of a slim pocket diary, this New Testament & Psalms will fit easily inside an inside pocket or a handbag. 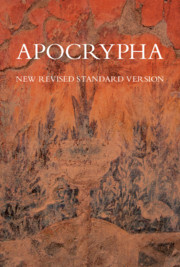 It is beautifully produced, printed on Bible paper and bound with a presentation page in burgundy imitation leather. 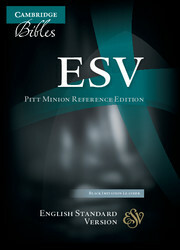 Head- and tail-bands add a traditional touch of class.